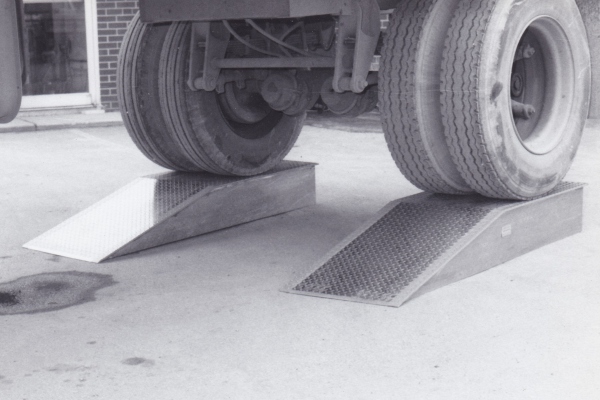 For applications where the shipping/receiving dock is much higher than the truck floor or trailer bed, use Aluminum Wheel Risers to raise truck floor or trailer bed to dock level, and facilitate ease of loading and unloading. Load Capacity: 40,000 lbs / 18,144 kg (per pair). For sizes & specifications not listed, please contact us.